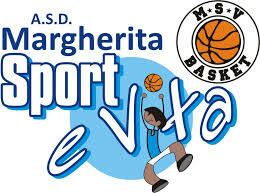 ASD Margherita Sport E Vita Basket was established in 2007 and since then it has increased its number of associated athletes to 90 members. MSV Basketball has seen the first results during various sports tournaments; the same, today, boasts of having entered athletes born in 1994-1995-1996 between the provincial and regional representatives in their respective categories. Among these, it has some athletes who have participated at first category championships.